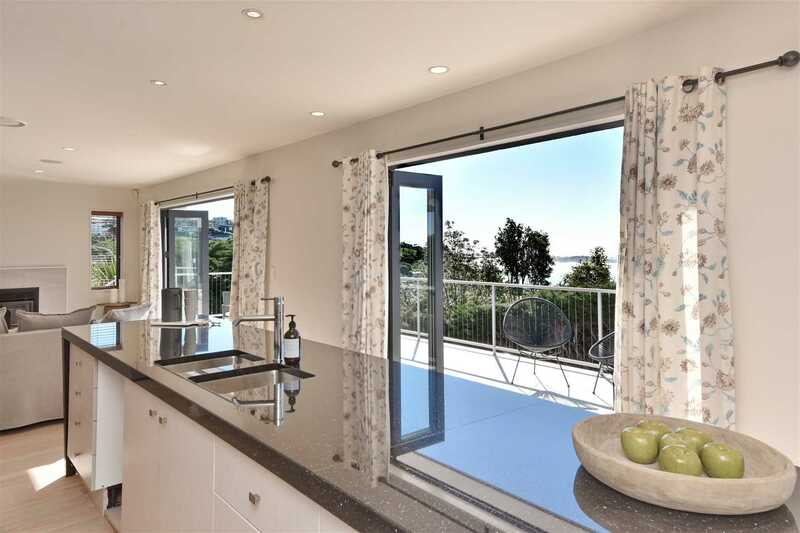 Beautifully proportioned, superbly executed and enjoying breath-taking views from the prime lower slopes of Moncks Spur, it's no wonder it has been in several House & Garden magazines. 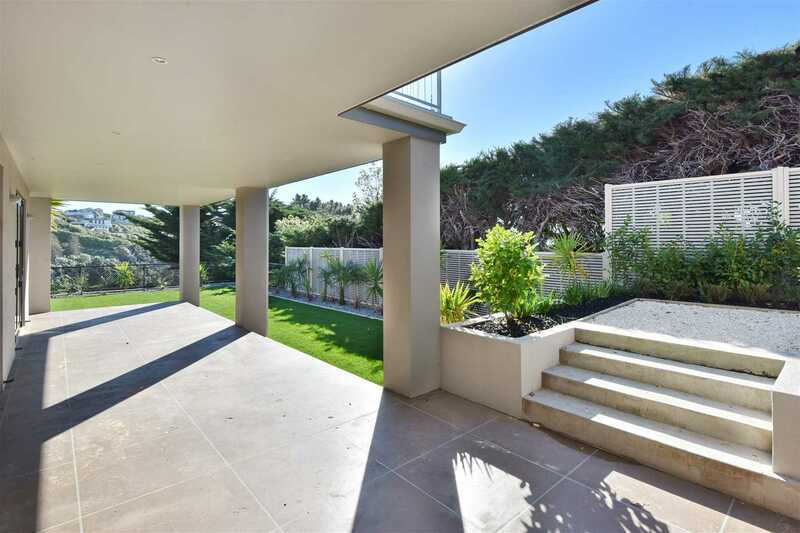 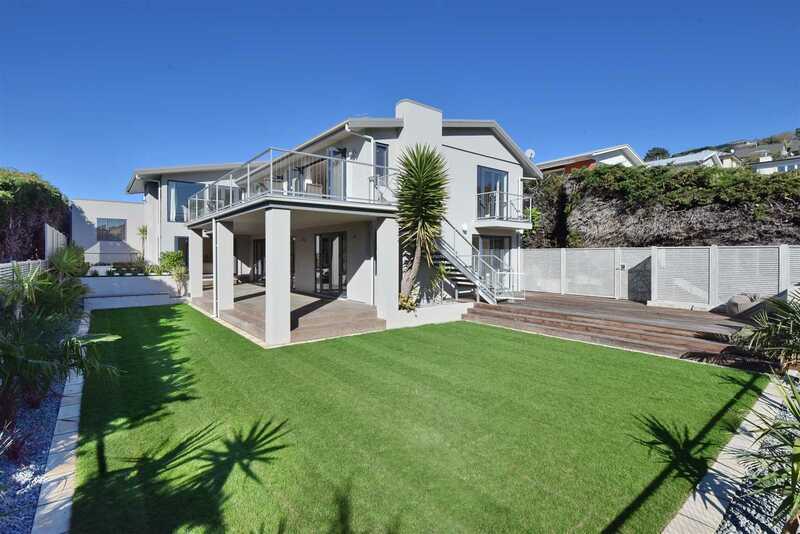 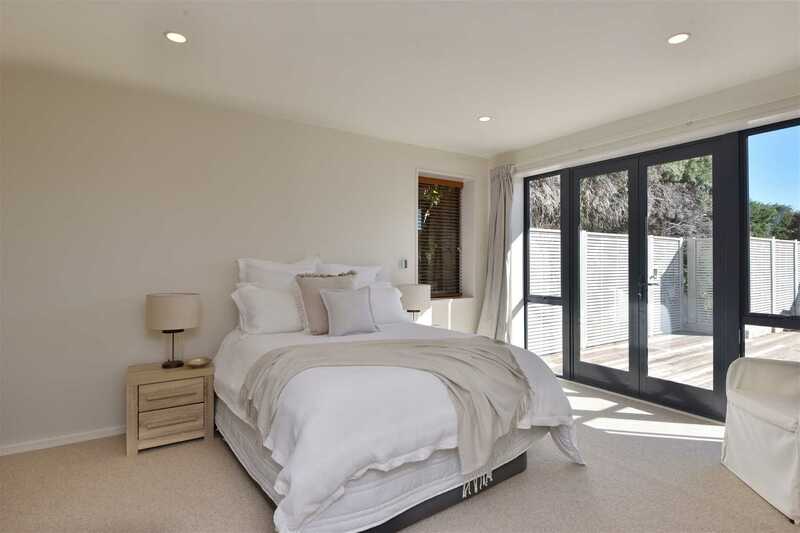 This substantial five-bedroom home oozes a beachy Hamptons style and maximises the indoor-outdoor connection. 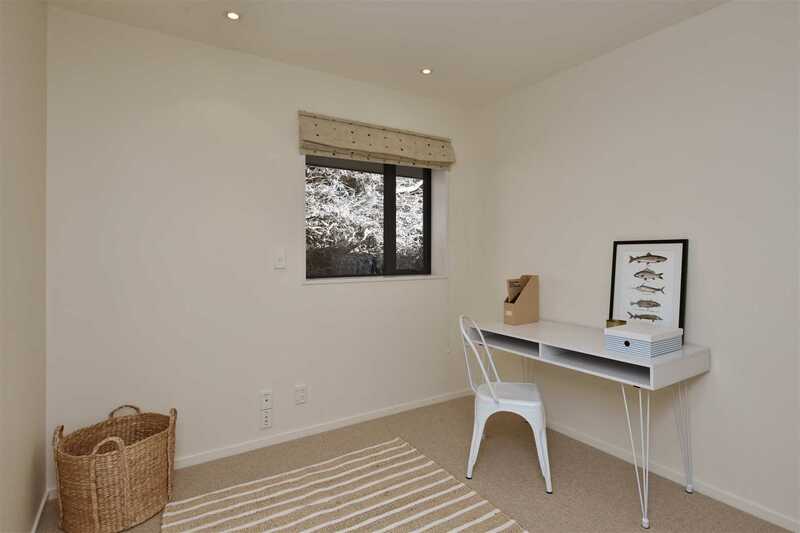 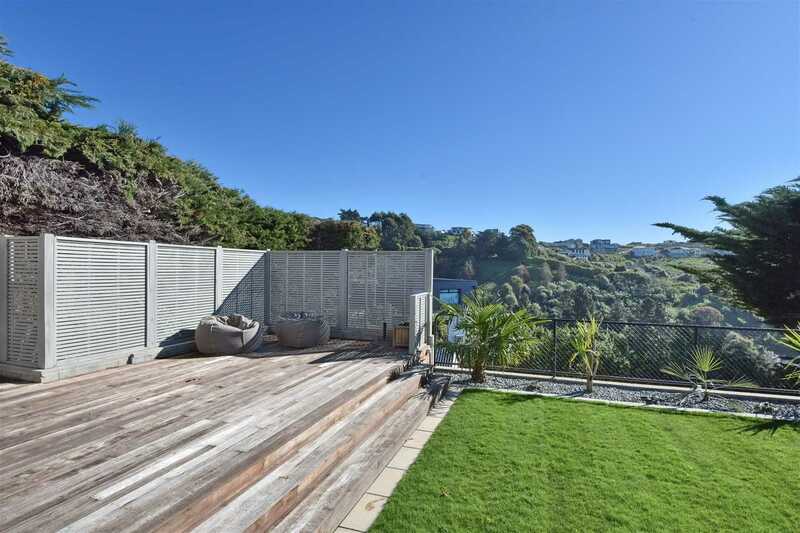 Upmarket, yet family friendly and practical, and offering an abundance of space to larger families with a completely level section, rarely found on the hill. 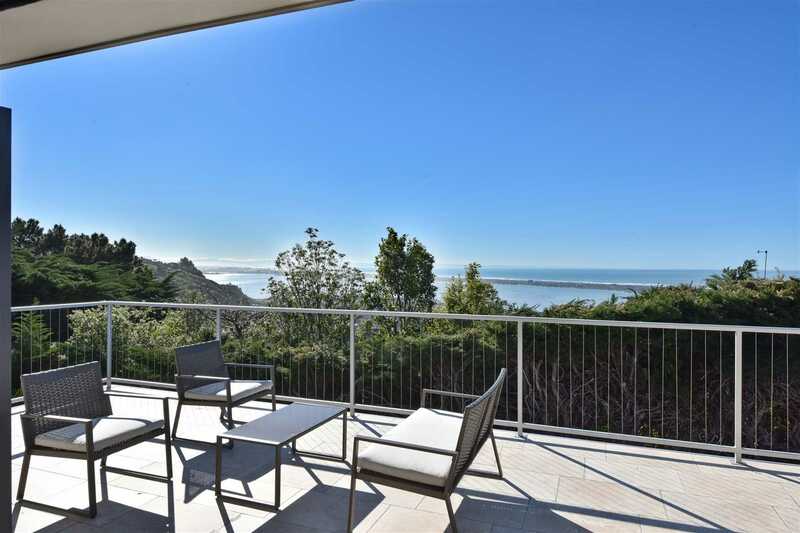 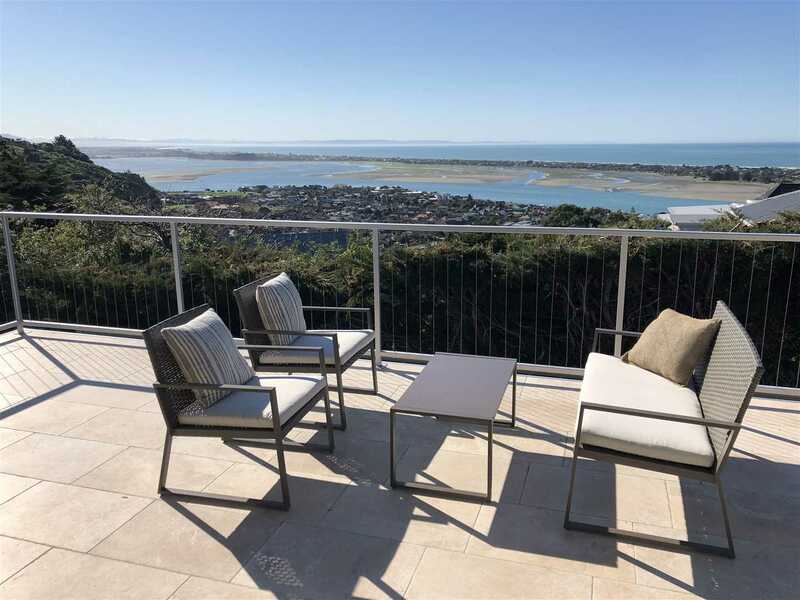 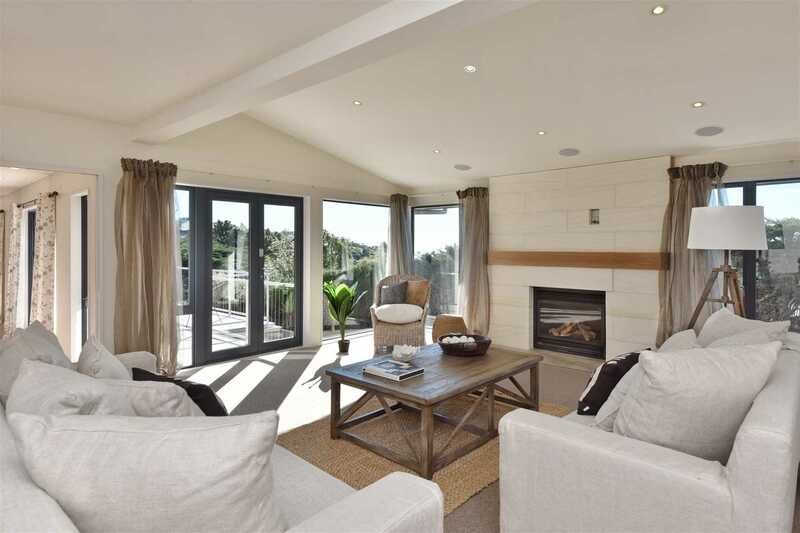 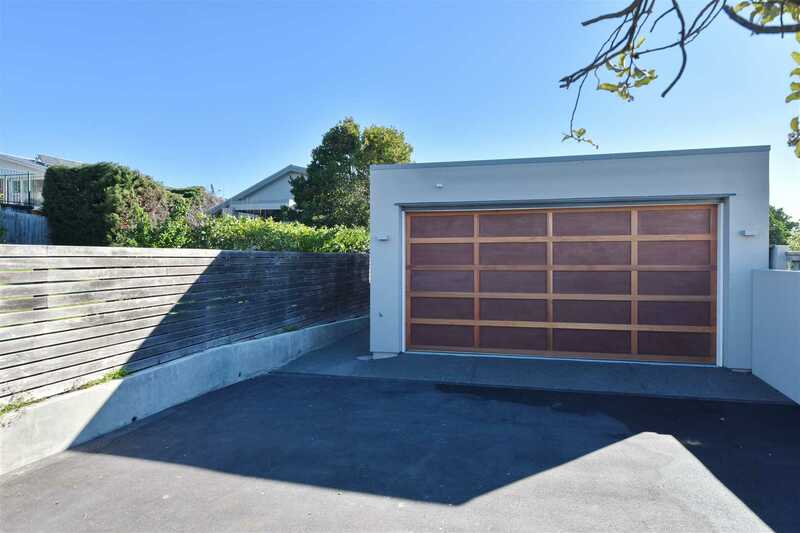 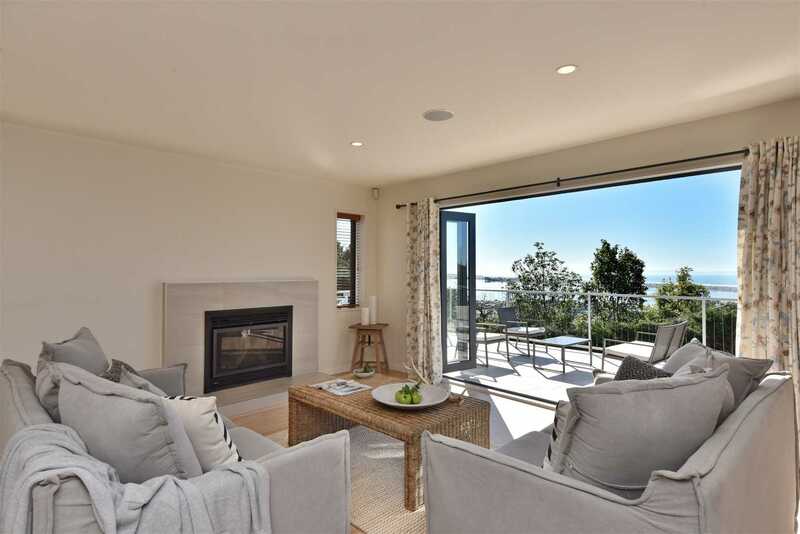 Embracing exceptional views over the estuary, Southshore spit and the Kaikoura Ranges, this home also boasts an optimal north-west facing orientation which is complemented by double glazing, a ducted heat pump, two gas fires and loads of underfloor heating delivering year-round comfort. 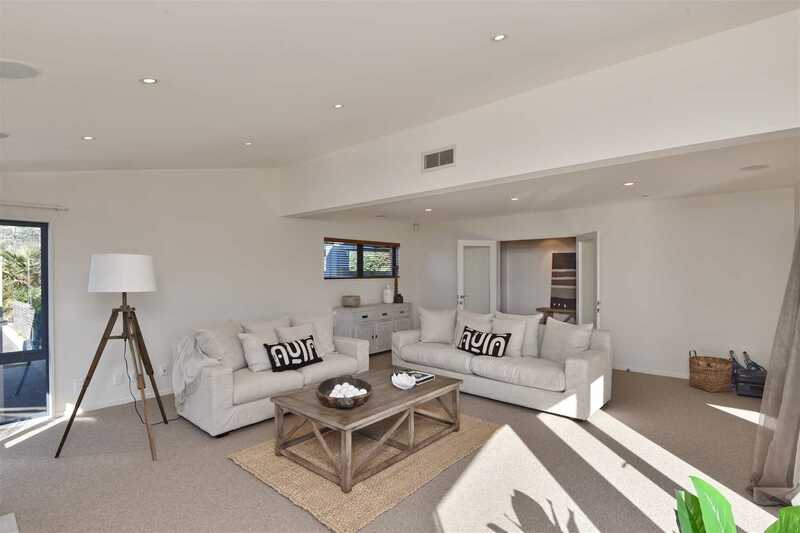 Everyday family living, hosting a crowd and alfresco entertaining comes effortlessly with both the spacious open plan living area and interconnecting formal lounge seamlessly transitioning out through bifold doors to the expansive 4 x 15m balcony that also doubles as another living space. 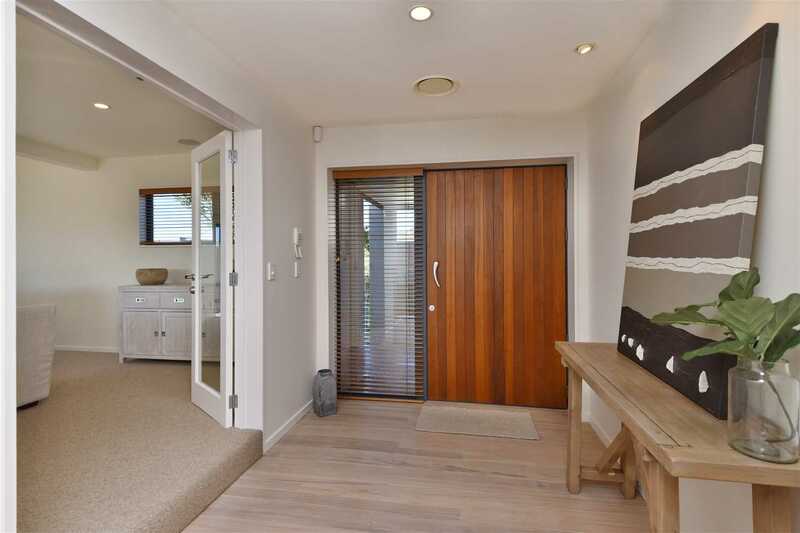 Every detail has been carefully considered with highlights including the whitewashed timber floors, the exquisite Oamaru stone gas fireplace, surround sound system, the large laundry with storage and school bag area, and the versatile wine cellar beneath the stairs. 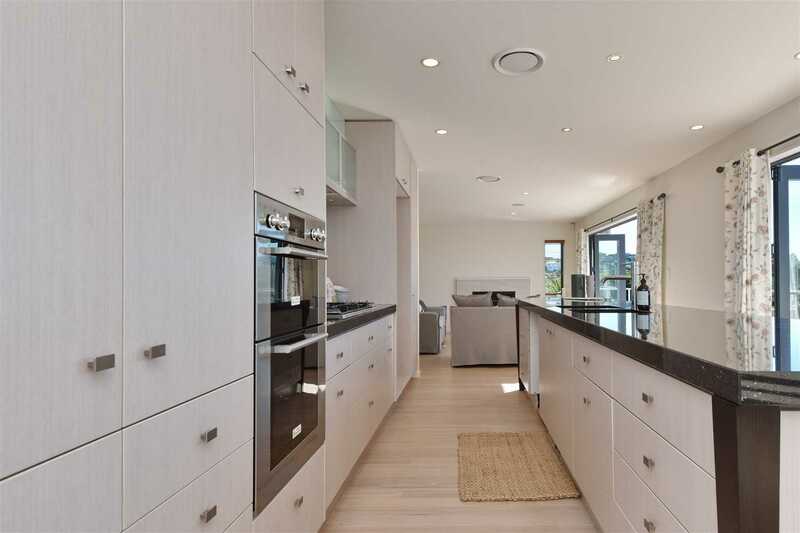 The Ingrid Geldof kitchen showcases functionality, quality and style courtesy of a double oven, a sizeable gas hob, a Miele dishwasher and durable granite benchtops. 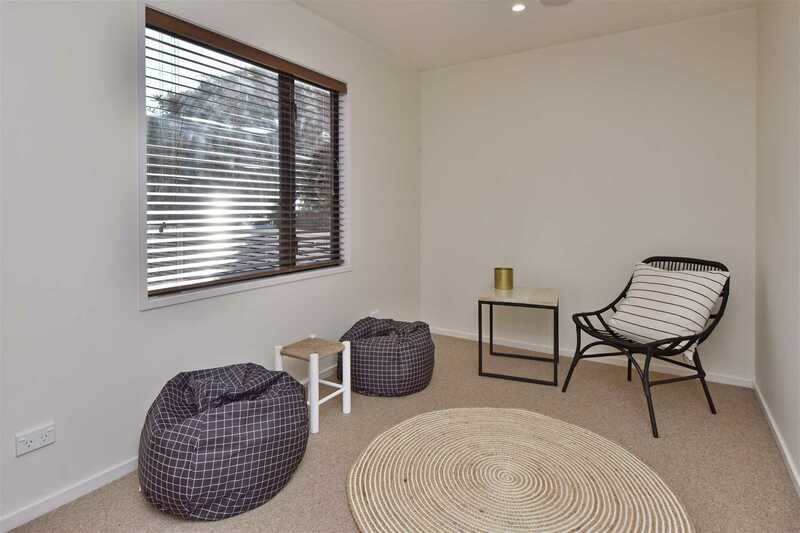 Situated right in the hub of the home between the 2 living rooms, there's heaps of room for friends and family to gather around. 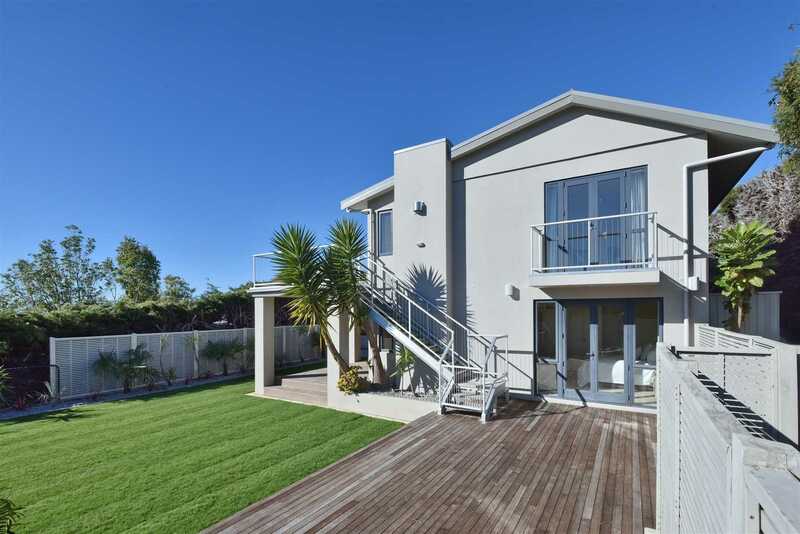 All the 4 downstairs bedrooms are a generous size and lead out to a sheltered outdoor setting with large impressive lawn and immaculately landscaped grounds. 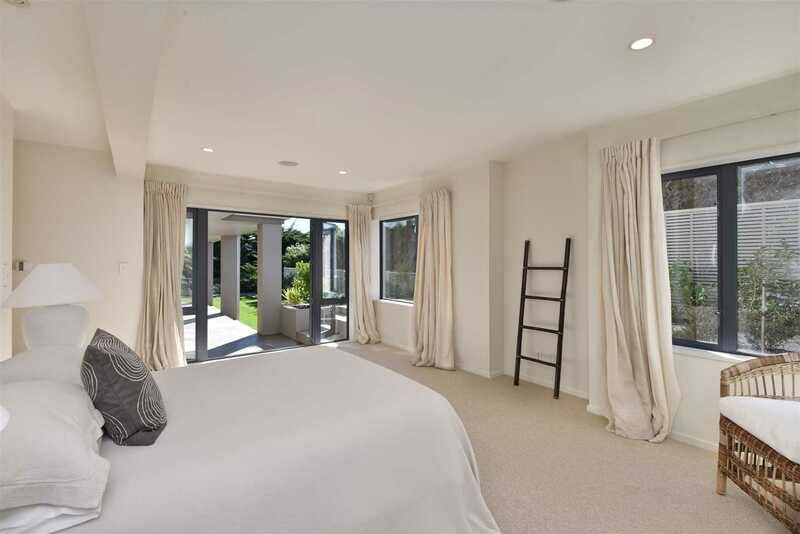 A lower tier of the section is home to the children's playground with room for a trampoline and vegetable garden which is bound to please the whole family. 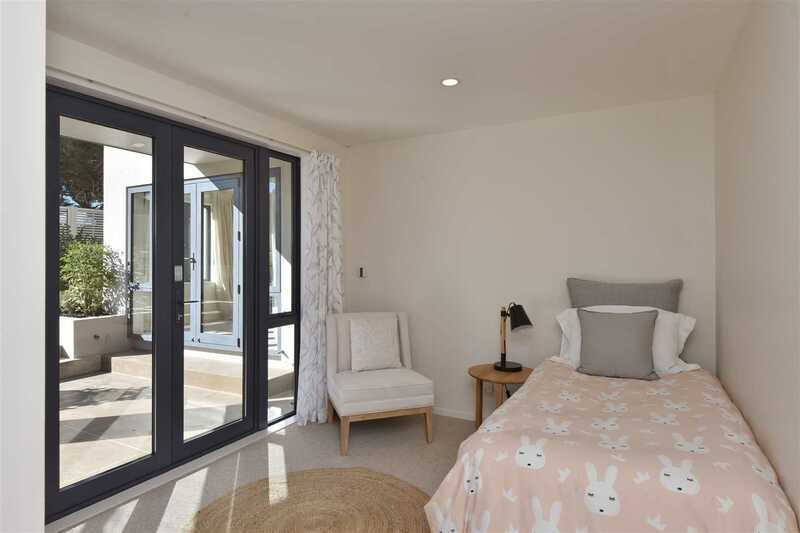 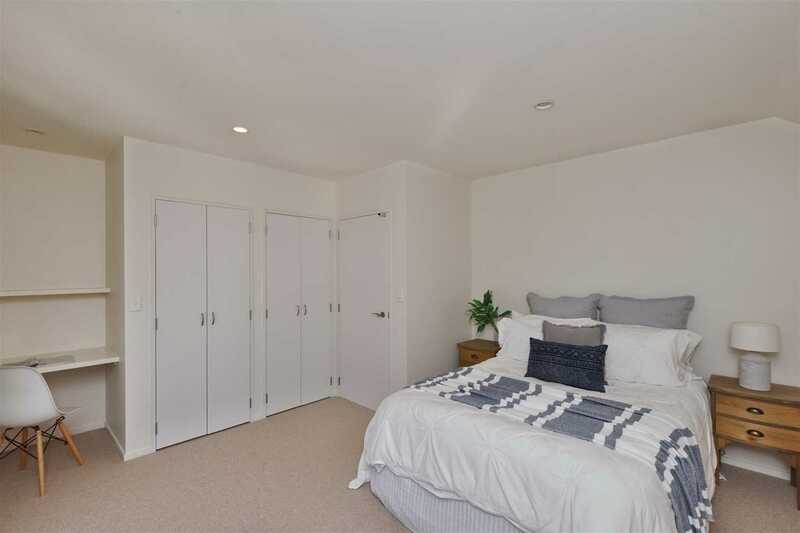 Accommodation options are plentiful with the master benefiting from a walk-in wardrobe and ensuite while the presence of a study/5th bedroom upstairs and a den behind the garage presents you with a peacefully removed studio with Bluetooth which will appeal to those who demand a quiet workspace. 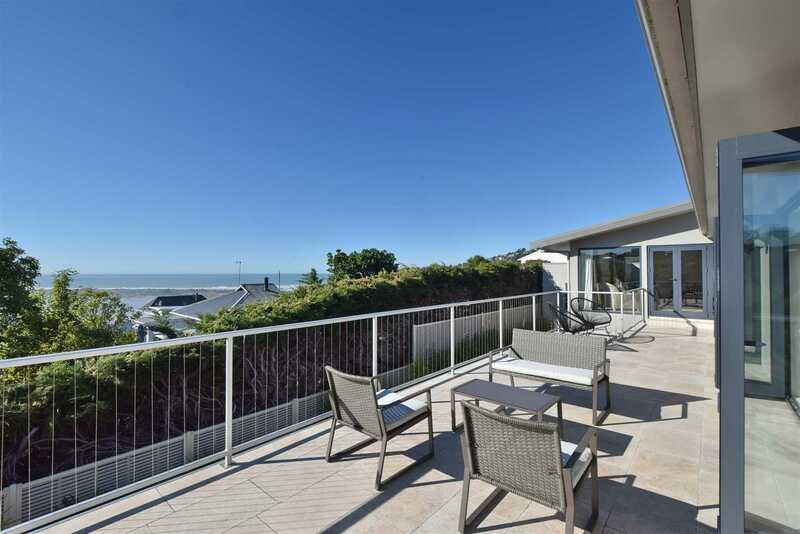 Buyers craving a coastal lifestyle will adore the close access to Sumner Beach and the areas various amenities and recreational options, with the likes of in-zone Redcliffs School, Barnett Park, Moncks Bay waterfront and the local Redcliffs shops situated right at the base of the hill. 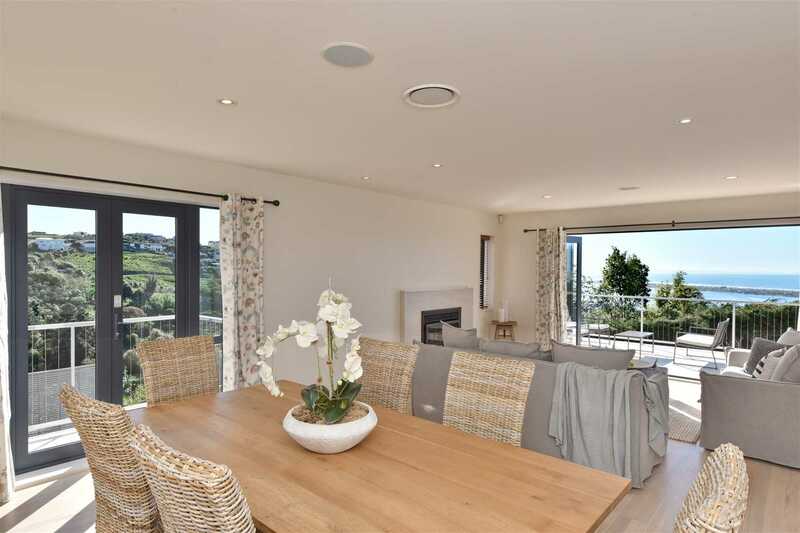 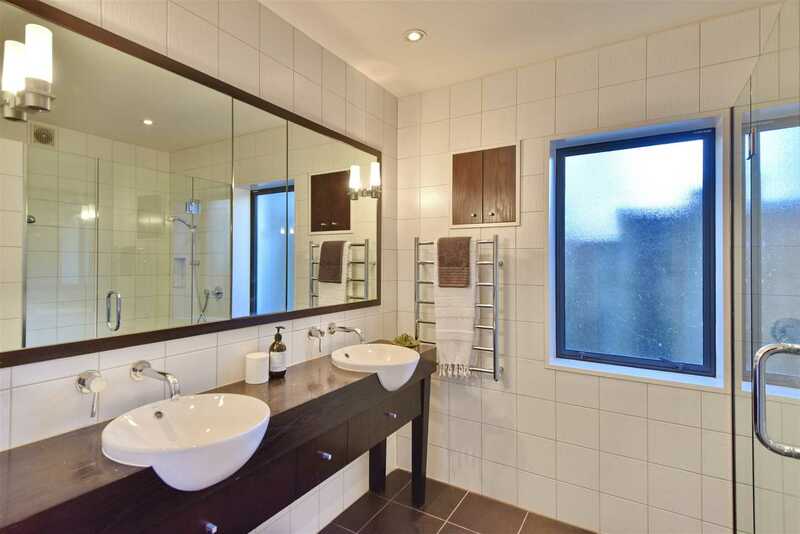 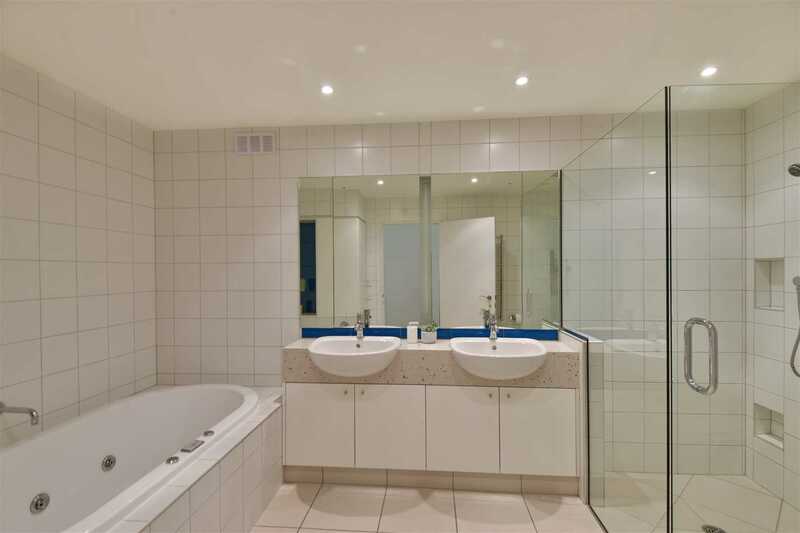 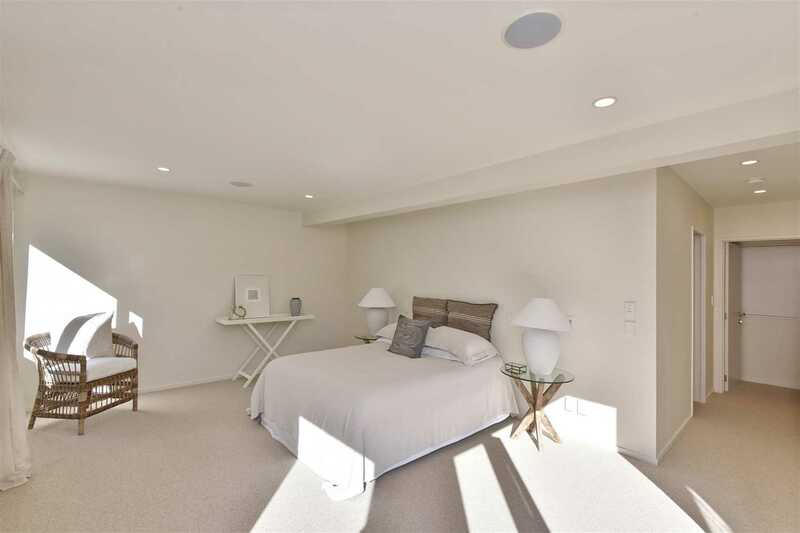 This is an undeniably desirable and substantial property that will be hard to beat. 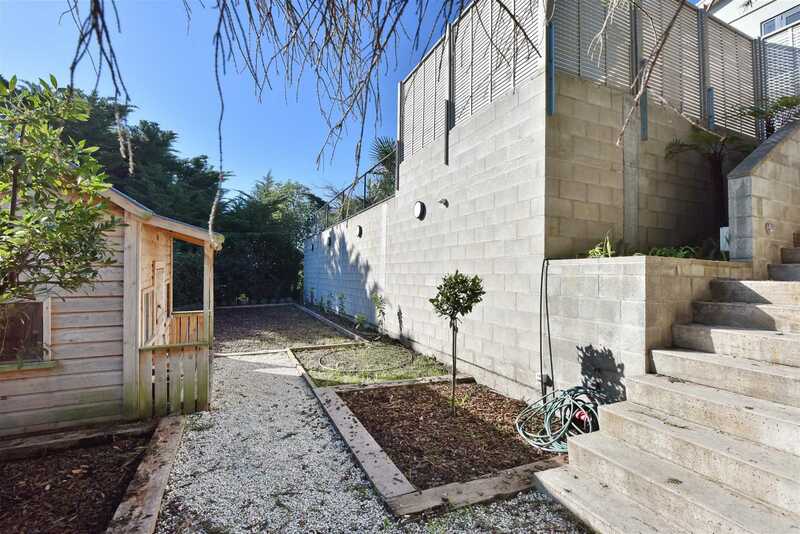 If you have the growing family - we have the house. 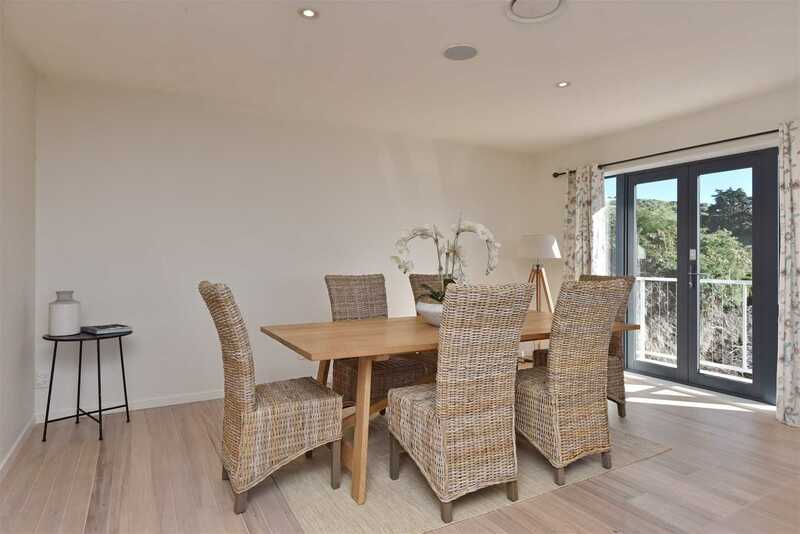 Viewing is essential to fully appreciate what's on offer here!